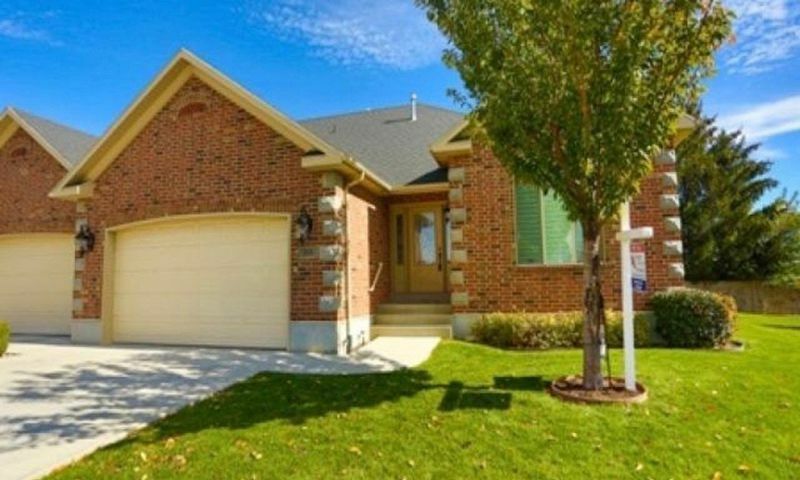 Granite View Estates is a 55+ community located in American Fork, Utah. This vibrant active adult neighborhood consists of just 41 attached homes constructed by Salisbury Homes. Residents here love the high-quality homes, quaint, tree-lined streets, and neighborly feel of life at Granite View Estates. Conveniently located in the Salt Lake City area, residents are never far from the excitement of city life, while still maintaining the quiet relaxation of the suburbs. The beautiful views of the Timpanogos Mountains are sure to draw in many retirees to this picturesque community. A small community, Granite View Estates does not include a clubhouse, but that doesn’t stop neighbors from regularly meeting and socializing with one another. Neighbors here can plan their own activities, start a club based on mutual interests, or just go for a leisurely stroll through this scenic community. Life at Granite View Estates is truly what you make it, and residents here are making the most out of it. Salisbury Homes began construction on Granite View Estates in 2008, and this community hosts a total of 41 residences for active adults to call home. These attached residences come in a few different styles and sizes, meaning there’s something for every taste. Each home is typically 1,273 to 2,500 square feet, with three to four bedrooms, two bathrooms, and an attached two-car garage. With a reasonable price point, homes here put low-maintenance retirement living easily in grasp. Granite View Estates is an active adult community, and as such, it attracts an active group of residents. Neighbors here are encouraged to plan activities, group outings, and holiday events. Homeowners can start their own clubs as well, a great way to meet new friends. Additionally, the homeowners’ association fee covers everyday maintenance like lawn care and snow removal, so residents of Granite View Estates can really kick back and relax in retirement. Ideally situated in American Fork, Utah, Granite View Estates gives residents easy access to all of the everyday needs they might have. Located right off of Highway 89, this community couldn’t be any closer to a bustling strip of restaurants, banks, gas stations, and the American Fork Shopping Center. It’s also just a four-minute walk to a local bowling alley where residents can enjoy a night out with friends. This neighborhood also offers up natural beauty to its residents, with great views of Mount Timpanogos right from the comfort of your own backyard. American Fork is also part of the greater Salt Lake City area, meaning homeowners here can enjoy the quiet of their community but also the entertainment of a big city within a short and easy drive. With so much to see and do, it’s no wonder Granite View Estates is a popular destination for active adults in American Fork, Utah. Check back soon for more information on the lifestyle in Granite View Estates. When complete, Granite View Estates will host a total of 41 residences for active adults to call home. These attached residences come in a few different styles and sizes, meaning theres something for every taste. Each home is typically 1,273 to 2,500 square feet, with three to four bedrooms, two bathrooms, and an attached two-car garage. With a reasonable price point, homes here put low-maintenance retirement living easily in grasp. 55places.com is not affiliated with the developer(s) or homeowners association of Granite View Estates. The information you submit is distributed to a 55places.com Partner Agent, who is a licensed real estate agent. The information regarding Granite View Estates has not been verified or approved by the developer or homeowners association. Please verify all information prior to purchasing. 55places.com is not responsible for any errors regarding the information displayed on this website.